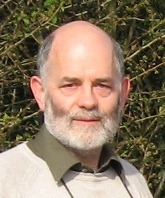 Peter Robinson is Professor of Computer Technology in the Computer Laboratory at the University of Cambridge, where he leads the Rainbow Research Group working on computer graphics and interaction. Professor Robinson's research concerns problems at the boundary between people and computers. This involves investigating new technologies to enhance communication between computers and their users, and new applications to exploit these technologies. The main focus for this is human-computer interaction, where he has been leading work for over 20 years on the use of video and paper as part of the user interface. The idea is to develop augmented environments in which everyday objects acquire computational properties through user interfaces based on video projection and digital cameras. Recent work has included desk-size projected displays and tangible interfaces. With rapid advances in key computing technologies and the heightened user expectation of computers, the development of socially and emotionally adept technologies is becoming a necessity. He has led investigations of the inference of people's mental states from facial expressions, vocal nuances, body posture and gesture, and other physiological signals, and also considered the expression of emotions by robots and cartoon avatars. He has also pursued a parallel line of research into inclusive user interfaces. Collaboration with the Engineering Design Centre has investigated questions of physical handicap, and research students have considered visual handicaps. This has broader applications for interaction with ubiquitous computers, where the input and output devices themselves impose limitations. Professor Robinson is a Fellow of Gonville & Caius College where he previously studied for a first degree in Mathematics and a PhD in Computer Science under Neil Wiseman. He is a Chartered Engineer and a Fellow of the British Computer Society. Sebastian Ventura is currently (associate) Professor of Computer Science and Numerical Analysis at the University of Córdoba, where he heads the Knowledge Discovery and Intelligent Systems Research Laboratory. He received his BSc and Ph.D. degrees in sciences from the University of Córdoba, Spain, in 1989 and 1996, respectively. He has published more than 150 papers in journals and scientific conferences, and he has edited three books and several special issues in international journals. He has also been engaged in 11 research projects supported by the Spanish and Andalusian governments and the European Union. His main research interests are in the fields of soft-computing, machine learning, data mining, and their applications. Dr. Ventura is a senior member of the IEEE Computer, the IEEE Computational Intelligence and the IEEE Systems, Man and Cybernetics Societies, as well as the Association of Computing Machinery (ACM). Remedios Zafra is a writer and full time professor of Art, Innovation and Digital Culture at the University of Seville and professor of "Politics of the Gaze" in the Masters Degree In Theory And Cultural Criticism of the Carlos III University of Madrid. PhD of Fine Arts, International Master’s Degree in Creativity and higher studies in Art, Philosophy and Social and Cultural Anthropology. 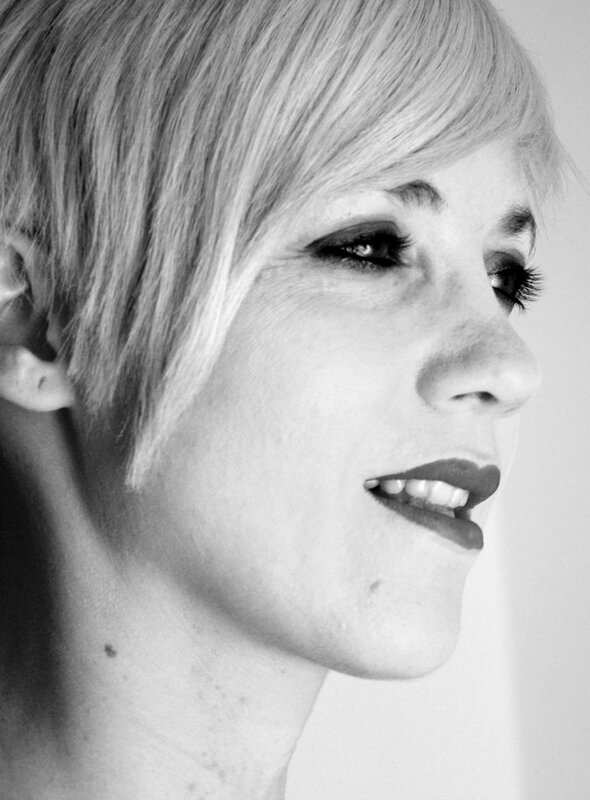 Her research studies and books have been aimed at the interrelationship between "Art and Technology", "Feminist and Gender Studies" and "Critical Theory of Digital Culture". She has received important awards for her essays, literary and research works on gender, identity and the network culture, among these: National Prize for Essays "Carmen de Burgos 2000"; Research Prize "Leonor de Gúzman 2001"; National Prize for Essay "Caja Madrid 2004". She is author of the books "Un cuarto propio conectado. (ciber)espacio y (auto)gestión del yo" (2010, 2011) and "Netianas N(h)acer mujer en Internet" (2005) among others. Since 2002 she is titular professor at the University of Seville. 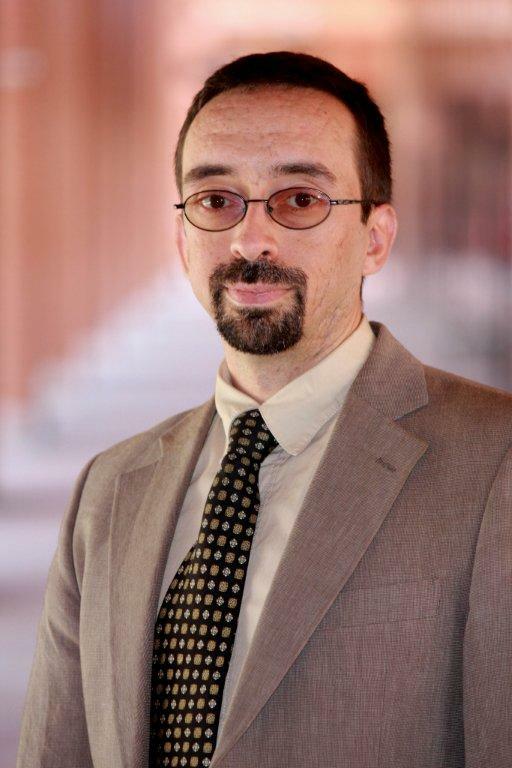 Cristian Rusu, PhD in Electrical Engineering/Applied Informatics (2002, Technical University of Cluj – Napoca, Romania) is currently a Full Professor at the School of Informatics Engineering, Pontifical Catholic University of Valparaíso (PUCV, Chile). 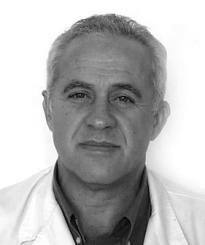 Dr. Rusu worked in research institutes and software companies in Romania and Chile. Since 2002 he is fully dedicated to academia. He initiated and is supervising the “UseCV” Research Group in Human – Computer Interaction at PUCV, working mainly in software usability and related topics. Dr. Rusu is currently the chair of the Chilean ACM-SIGCHI Chapter. Conference: Importance of the interaction alternative channels with the computer in people with disabilities. PhD in Physics Sciences by the Complutense University of Madrid and Research Professor in the Spanish National Research Council (CSIC), in the Industrial Automation Institute (IAI). Dr. Ceres has developed and managed numerous research projects on the sensors field and on the information treatment for the processes and robots control, all of them financed by the administration and international industries (Esprit, Brite, Eureka, CYTED). The working fields have been diverse, but in the last years Dr. Ceres is mainly focused on agricultural applications and on the autonomy improvement of people with some type of disability. He has work as evaluator and expert for international organisms. In addition Dr. Ceres has been Spanish representative of the Management Committee in the European Union program related with Industrial and Material Technologies (BRITE/EURAM III and IV). He now is Coordinator of Iberoeka Projects into the Program CYTED. Mariel Martínez is Computer Science Engineer by the Open University of Catalonia, and enthusiastic of new technologies. Co founder of indenext.com, which is a developing company of innovative solutions in the field of software development, where she holds the position of product manager. Also, she is Co founder in ameiga.com, an startup video game development company, which seeks the implementation of the latest technological trends on mobile devices. 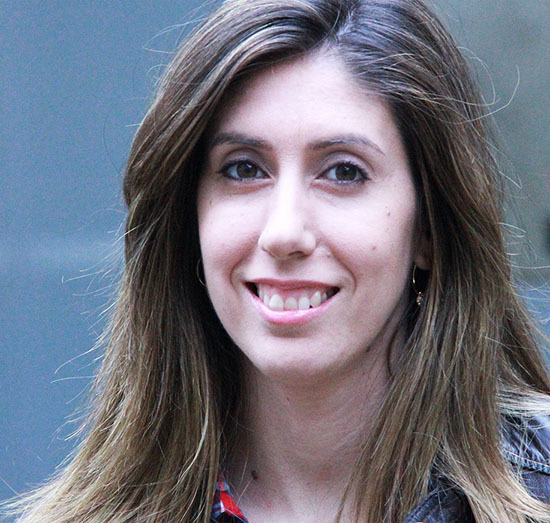 She combines her work with the function of Google Developers Group Organizer of Vigo (Vigo GDG). This community is focused on developers and dissemination of technical content, and responsible for organizing events, such as workshops, talks, code sprints and hackathons. This year she was invited as a representative of Spain GDGs Women at Google I/O in San Francisco, Google International Fair for developers. Prof. Dr. Daniel Burgos works as Vice-chancellor for Research & Technology (UNIR Research, http://research.unir.net), and Full Professor of Education & Communication Technologies, at Universidad Internacional de La Rioja (UNIR, www.unir.net). In addition, he holds the UNESCO Chair on eLearning (http://unesco-elearning.unir.net). Previously, he worked as Director of Education Sector and Head of User Experience Lab at the Research & Innovation Department of Atos, Spain, since 2007; and as assistant professor at the Open University of The Netherlands, from 2004. His interests are mainly focused on Adaptive and Informal eLearning, Learning & Social Networks, eGames, Innovation and eLearning Specifications. He is or has been involved in a number of R&D European projects like, i.e. Intuitel, VM-Pass, eMundus, Edumotion, Hotel, Stellar, Gala, IntelLEO, Go-MyLife, Grapple, Telma, GameTEL, Pauta, Unfold, ProLearn, TenCompetence, EU4ALL, NiHao, Kaleidoscope, Suma, Sister, ComeIn, et cetera. He holds degrees in Communication (PhD), Computer Science (Dr. Ing), Education (PhD), and Business Administration (BSc).